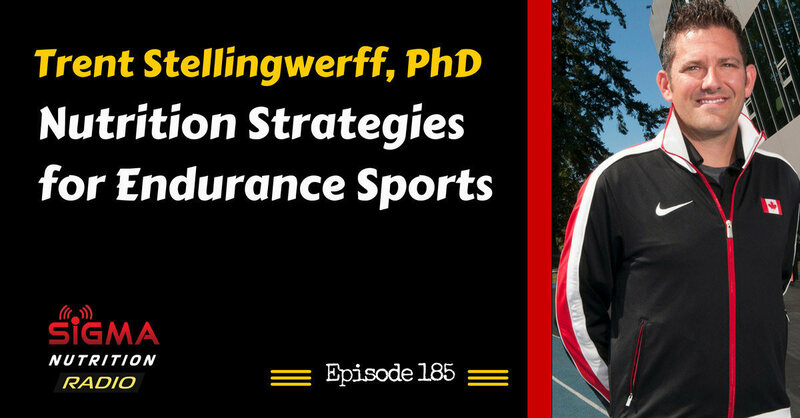 Episode 185: Trent Stellingwerff of the Canadian Sports Institute discusses nutrition for endurance sports, carbohydrate periodization and raceday fuelling. 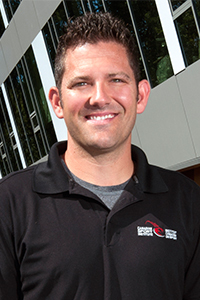 Trent is an applied sport physiologist with a specialization in the area of performance nutrition. He earned a Bachelor of Science in Human Nutrition and Exercise Physiology at Cornell University and he earned his Ph.D. from the University of Guelph in Exercise and Skeletal Muscle Physiology. In his current role he focuses on providing his physiology and nutrition expertise to Canada’s national rowing, track and field and triathlon teams, as well as leading Canadian Sport Institute’s Innovation and Research division. Trent previously worked as the senior leading scientist in Performance Nutrition for Power Bar at the Nestle Research Center in Lausanne, Switzerland. An experienced researcher, Trent has more than 40 peer-reviewed scientific publications and is currently on the editorial board for the International Journal of Sports Physiology and Performance and International Journal of Sports Nutrition & Exercise Metabolism. He has co-authored six book chapters focusing on the role that nutrition can play in supporting elite athlete performance, including a chapter on ’Nutrition for the Endurance Athlete’, for the newest version of the 2013 IOC Sports Nutrition Encyclopaedia. His expertise is paired with his ability to deliver complex scientific concepts in an informative and applicable way. He co-supervises a number of master and PhD student collaborative research projects at UBC, UVIC and Guelph. Trent has attended many World Championships and Olympic Games as part of Team Canada’s Integrated Support Team and consults several Olympic athletes from around the world, including his wife Hilary, who competed for Canada in the 1500m at the 2012 Games.